The stars were out at Fenway Park for Sunday night's season-opening baseball game between the Red Sox and the Yankees. 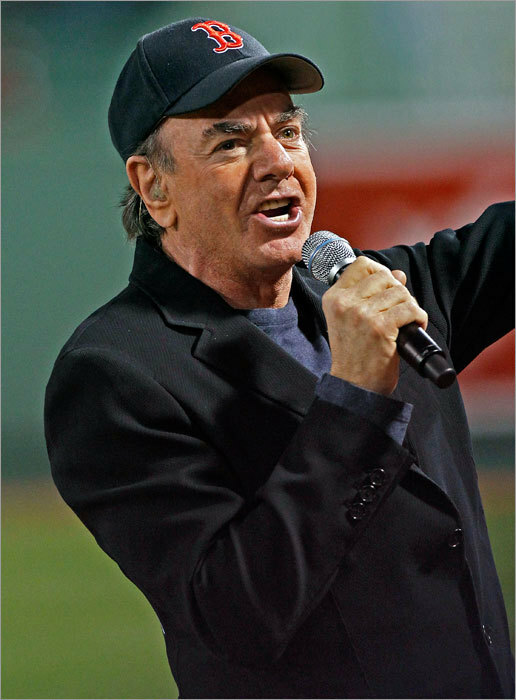 Here, Neil Diamond sings "Sweet Caroline" in middle of the eighth inning. The Red Sox rallied to beat the Yankees 9-7 in a thriller. We've also got game photos., video, and more coverage from Sunday night's major league baseball opener.